What Are Cat Claw Covers? Cat claw covers, also known as Soft Claws, are vinyl nail caps that are glued on to a cat's claws as an alternative to declawing. The Soft Claws cover the tips of the real claws, so no damage can be done when he cat scratches. They do not interfere with the normal extension and retraction of the claws. Soft Claws are usually clear but are also available in various colors. Cats have a natural desire to scratch, partly as a means of marking their territory and partly to keep their claws sharpened. 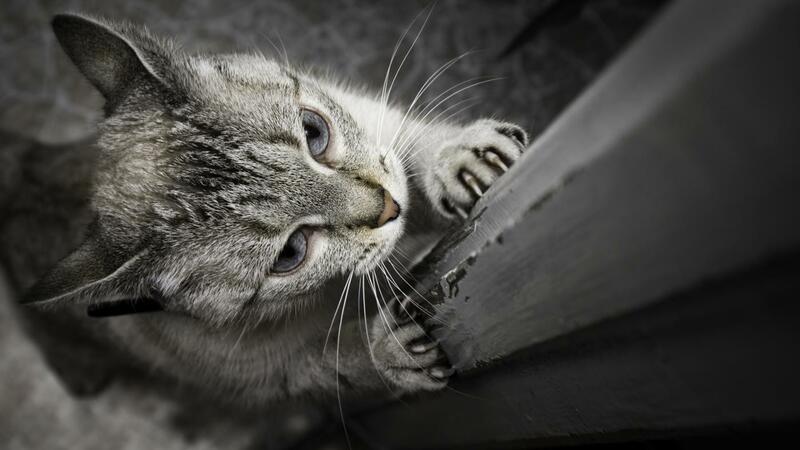 This scratching behavior is one of the most common reasons pet owners give for sending a cat away to a shelter. For people who are frustrated by a cat's scratching but are unable to afford professional declawing services from a veterinarian, Soft Claws are a cheap and humane alternative. The Soft Claws are normally applied only to the cat’s front claws, but they can also be used for the back feet. The soft caps are very durable and do not fall off prematurely if they are applied properly. After six to eight weeks, the cat’s claws grow long enough that the Soft Claws come off. They are easy to reapply. Why Does My Cat Have Dandruff? What Are Cats That Don't Shed Much?